José Miguel Ureña (ooh-RAIN-ya) Rodriguez. Finished with a 9-12 record and 3.98 ERA (174.0 ip/77 er) in 31 starts. Led Marlins staff in wins (9), starts (31), innings pitched (174.0), and ERA, and was tied with Trevor Richards for the team lead in strikeouts (130)...Established career bests in starts, innings pitched, strikeouts, strikeouts/9.0 (6.72), hits/9.0 (8.02), strikeout percentage (18.3), and walk percentage (7.2)...Among National League starters, was tied for 17th in starts, ranked 19th in innings pitched, 21st in hits/9.0, and 22nd in walks/9.0 and baserunners/9.0 (11.28)...Became sixth starter in Marlins history to post back-to-back sub4.00 ERA campaigns, joining Pat Rapp (1994-95), Kevin Brown (1996-97), Dontrelle Willis (2005-06), Josh Johnson (2009-10), and Aníbal Sánchez (2010-11)...Began season with seven consecutive losses over first 12 starts and finished the season with six consecutive wins over final seven starts. Became second starter in Club history to record a losing streak of seven-or-more games and winning streak of six-or-more in same season (also, Chris Hammond, 1993). -Elias Sports Bureau...In addition, became first Major League starter to begin a season with seven-or-more losses and finish with nine-or-more wins since Barry Zito began his 2008 campaign with eight losses enroute to a 10-17 final record. -Elias.. Earned Opening Day start against Cubs on March 29 at Marlins Park. Was seventh different OD starter in last seven openers for Miami. Took the loss, allowing five runs on six hits over 4.0 innings...On June 15 at Baltimore, tossed 8.0 shutout innings to pick up his second win of the season (3 h, bb, 4 so, hb). It was his fourth career game tossing at least 8.0 innings. Also threw a career-high 112 pitches...Placed on 10-day DL on June 21 with right shoulder impingement. Missed only one turn through the rotation, making next start on July 4 vs. Tampa Bay...Snapped streak of 14 consecutive home starts without a win on July 29 vs. Washington. Allowed one hit and four walks, with five strikeouts, over 6.0 scoreless innings...On August 19 start at Nationals Park, tossed first career complete game. Threw 108 pitches, allowing one run on two hits and two walks, while striking out four...Over his final seven starts, went 6-0 with a 1.80 ERA (45.0/9)...In the lone start without a decision, allowed four runs on six hits over 6.0 innings to Boston on August 28. In other six starts, limited opponents to one-or-zero runs and five-or-fewer hits in each outing. Opened season in Miami's bullpen, making six appearances, before joining rotation due to injuries. Did not return to 'pen for remainder of season, making career-high 28 starts...Also set career highs with 14 wins, 34 appearances, 169.2 innings, 113 strikeouts, and had a career-best 3.82 ERA (72 er)...Finished season 14-7, 3.97 (154.1 ip/68 er) in his starts. Did not factor in a decision and had a 2.35 ERA (15.1/4) in his six relief appearances...Made first start on May 7 at Mets, allowing one hit over 6.0 scoreless innings. ..From May 7 through end of season, led National League with 28 starts, and his 14 wins tied Zack Greinke and Alex Wood for second, behind only Zach Davies (15). Among NL pitchers who made at least 25 starts in that time, his ERA ranked 10th, and his .232 average against ranked sixth...Miami won 17 of his 28 starts...In start on May 28, set career highs in both strikeouts (seven) and walks (six). Tied the strikeout mark on July 4 at St. Louis...Set career high with a five-game winning streak over seven starts from May 23 to June 23. Did so despite posting a 4.58 ERA (37.1/19) in that time, as he received 7.47 runs of support during the stretch...Had streaks of seven starts with 5.0 innings and five starts with two-or-fewer walks snapped in his start on Aug. 28 at Washington (L, 4.0 ip, 3 bb)...Made 21 starts following a team loss, with a 12-5 record and 3.54 ERA. Only Marcus Stroman (25) had more such starts in MLB, while Ureña's win total tied Jacob deGrom for MLB lead...Allowed five runs in 5.0 innings in his start on July 26 at Texas, but was the beneficiary of 11 runs of support while he was in the game, a 22-10 victory for the Fish (club record for runs in a game). For the season, he received 5.91 runs of support in starts, which ranked sixth among NL starters (min. 28 GS)...Suffered a hard-luck loss on July 31, when he tossed a season-high 8.0 innings and allowed just one run on three hits and a walk, with six strikeouts. Washington's Gio González took a no-hitter into the ninth inning that night, and Ureña was saddled with the 1-0 loss. It was fourth time in Club history a pitcher took a loss in a game in which he tossed at least 8.0 innings and allowed just three hits and two-or-fewer runs...Matched the 8.0-innings mark and earned the win on Sept. 20 vs. the Mets...Had a career-long relief appearance of 4.1 innings on April 28 vs. Pittsburgh. Allowed 12 hits in that outing, the most by a reliever in Marlins history, and became second reliever in Club history to allow 10-or-more hits in an outing (also Jason Vargas on July 8, 2006 at Mets). Made 28 appearances, marking longest stint in Majors after making 20 appearances in rookie season of 2015...Split remainder of season with Triple-A New Orleans (12 starts)...Made 12 starts for Miami, going 3-8 with a 5.68 ERA (63.1 ip/40 er); first 16 appearances were out of the bullpen, going 1-1 with one save and 7.52 ERA (20.1/17)...First recalled from Triple-A New Orleans on April 21 and made 16 relief appearances before being optioned back on May 31...Earned first career save on April 27 at the Dodgers, tossing 1.2 innings in a 2-0 win; stranded three inherited runners in eighth inning of that game...Had longest career relief outing on May 14 at Washington, in Game 2 of a doubleheader. Tossed 3.0 innings and earned only win of season, allowing one run on two hits and a walk. Pitched both ends of the doubleheader, tossing 1.0 inning in Game 1, allowing one unearned run on one hit...Recalled again on July 19 and made three starts before being optioned on July 29...Made first start of season on July 19 at Philadelphia; went 5.2 innings, allowing four hits (one home run) and only one earned run while walking one and striking out five...Recalled on Aug. 16 and remained with Marlins for remainder of season...On August 27 vs. San Diego, suffered loss in 1-0 defeat despite allowing just one run on four hits (one home run), with career- high six strikeouts...Made longest start of career on September 11 vs. Dodgers; went 8.2 innings, longest start by a Marlins' pitcher on the year; allowed just four hits, tying season low in a start. In three stints with Marlins, went 1-5 with 5.25 ERA (61.2 ip/36 er). Made 20 appearances, nine of which were starts...As starter, went 1-5 with 4.86 ERA (46.1/25). Out of bullpen had no record and 6.46 ERA (15.1/11)...Opened season in rotation at Triple-A New Orleans, and over 11 starts went 6-1 with one complete game shutout and 2.66 ERA (67.2/20)...Was recalled from NOLA on April 13 and made Major League debut on April 14 at Atlanta, allowing one hit in 1.0 scoreless inning of work...Earned first Major League victory on June 12 vs. Colorado. 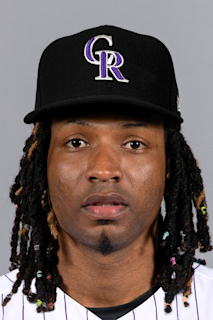 Held Rockies to one run on six hits (one home run) while striking out one and walking none over a career-high 6.2 innings...Missed 25 games on 15-day disabled list (August 7-September 4) with a left knee contusion. Made one rehab appearance with Single-A Jupiter, tossing 2.0 scoreless innings...With NOLA, tossed 6.0+ innings seven times in 11 starts...Over first seven starts, was 5-0 with 0.97 ERA (46.1/5). In final four starts, allowed 15 earned runs in 21.1 innings (6.33 ERA)...Ran career-best Minor League winning streak to nine games in final start before All-Star break, despite allowing a season-high five runs to Round Rock on July 9. His six strikeouts also marked a season-high. Took loss in next start, July 16 against Colorado Springs. Earned Marlins' Minor League Pitcher of the Month honors in July with Double-A Jacksonville, going 4-1, 2.21 (40.2 IP/10 ER) in six games (?ve starts), with 34 strikeouts and eight walks...Ranked second in Southern League with career-high 13 wins, behind league-lead-er and teammate Justin Nicolino (14), and ranked sixth in ERA (3.33)...Also ?nished in second place in SL in strikeouts (121), WHIP (1.14), and base run-ners/9 (10.21); third in BB/9 (1.56); and fourth in innings pitched (162.0)...Tied career high with eight strikeouts on July 26 at Montgomery (2x; other, 8/17/2010 with DSL Marlins)...Went season-long of 8.0 innings on two occasions, including a scoreless outing on June 5 vs. Tennessee. Went 1-0 in those starts...Had five straight wins from April 18-May 21, a span of seven starts...ERA dropped from 4.07 (77.1/35) prior to All-Star Game to 2.66 (84.2/25) following break...Earned win in seven of last nine starts of season, beginning July 14. Had 1.87 ERA (57.2/12) over that span, with 47 strikeouts and 10 walks...Recorded 1.97 ERA (32.0/7) in ?ve starts in August, second-lowest monthly ERA of career (min. 5 GS), behind a 0.87 (31.0/3) over ?ve starts in June of 2013. Spent season with Single-A Jupiter and earned Marlins' Minor League Pitcher of the Month honors in June, when he went 2-1, 0.87 (31.0 IP/3 ER) in five starts, with 23 strikeouts to four walks. ERA dropped from 4.05 (66.2/30) prior to All-Star Game to 3.47 (83.0/32) following break. Was 7-1, 1.96 (91.2/20) in 15 starts at Roger Dean Stadium, compared to 3-6, 6.52 (58.0/42) in 12 games (11 starts) on road. Had six straight wins from April 15-May 23, a span of eight starts. Struck out season high of seven on April 9 at Fort Myers and July 8 vs. Palm Beach. Went season-long of 7.0 innings on six occasions; went 3-0 in those games, with scoreless outings on June 17 vs. Bradenton and July 3 vs. St. Lucie. Allowed just eight home runs, and none over final seven starts of season (42.1 IP). Spent 2012 with Single-A Greensboro and went 8-6, 3.27 (121.0/44) in 22 starts, and 1-0, 4.15 (17.1/8) in five relief appearances, with two saves. Tossed 6.0-inning complete game in second half of doubleheader on May 24 at Delmarva. Took loss, allowing two runs on four hits, with two walks and five strikeouts. Spent first season in United States in 2011 with Short-Season A Jamestown. Went 4-3, 3.33 over first nine starts, but was 0-4, 6.18 over final six starts. Tossed season-high 7.0 innings twice, on July 8 vs. Auburn and July 30 at Staten Island. In both outings, he earned win and allowed no runs on two hits, with two walks and four strikeouts. Spent first two professional seasons with Dominican Summer League Marlins in 2009 & 2010. Was 8-9 with two saves in 27 appearances (15 starts) in those campaigns, with a 3.62 ERA (109.1/44). Tossed three complete games and two shutouts during 2010 season. First shutout was June 8 at DSL Orioles (7.0 ip, 2 h, bb, 7 so), and second was on July 9 vs. DSL Phillies (5.1 ip, 2 h, 2 so). August 27, 2018 Miami Marlins activated RHP Jose Urena. August 21, 2018 RHP Jose Urena roster status changed by Miami Marlins. July 4, 2018 Miami Marlins activated RHP Jose Urena from the 10-day disabled list. June 22, 2018 Miami Marlins placed RHP Jose Urena on the 10-day disabled list retroactive to June 21, 2018. Right shoulder impingement. August 16, 2016 Miami Marlins recalled RHP Jose Urena from New Orleans Zephyrs. July 30, 2016 Miami Marlins optioned RHP Jose Urena to New Orleans Zephyrs. July 19, 2016 Miami Marlins recalled Jose Urena from New Orleans Zephyrs. June 1, 2016 Miami Marlins optioned RHP Jose Urena to New Orleans Zephyrs. April 21, 2016 Miami Marlins recalled Jose Urena from New Orleans Zephyrs. March 29, 2016 Miami Marlins optioned RHP Jose Urena to New Orleans Zephyrs. November 9, 2015 RHP Jose Urena assigned to Aguilas Cibaenas. November 9, 2015 Aguilas Cibaenas activated RHP Jose Urena. September 4, 2015 Jose Urena roster status changed by Miami Marlins. September 1, 2015 Miami Marlins sent RHP Jose Urena on a rehab assignment to Jupiter Hammerheads. July 31, 2015 Miami Marlins recalled RHP Jose Urena from New Orleans Zephyrs. July 2, 2015 Miami Marlins optioned RHP Jose Urena to New Orleans Zephyrs. May 26, 2015 Miami Marlins recalled Jose Urena from New Orleans Zephyrs. April 21, 2015 Miami Marlins optioned RHP Jose Urena to New Orleans Zephyrs. April 13, 2015 Miami Marlins recalled Jose Urena from New Orleans Zephyrs. March 15, 2015 Miami Marlins optioned RHP Jose Urena to New Orleans Zephyrs. September 29, 2014 Miami Marlins recalled Jose Urena from Jacksonville Suns. March 12, 2014 Miami Marlins optioned RHP Jose Urena to Jacksonville Suns. November 20, 2013 Miami Marlins selected the contract of Jose Urena from Jupiter Hammerheads. April 3, 2013 Jose Urena assigned to Jupiter Hammerheads from Greensboro Grasshoppers. April 1, 2012 Jose Urena assigned to Greensboro Grasshoppers from Jamestown Jammers. June 16, 2011 Jose Urena assigned to Jamestown Jammers. May 29, 2009 DSL Marlins signed free agent RHP Jose Urena.